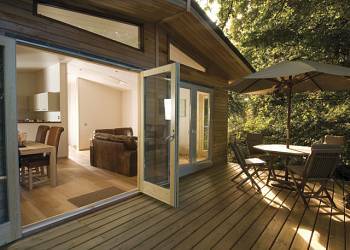 Ruby Country Lodges in Halwill, Devon. Ruby Country Lodges are a selection of luxurious holiday lodges that nestle amidst the grandeur of pine trees. They are located deep in the heart of Ruby Country which is renowned for its majestic swathes of unspoilt rolling countryside. 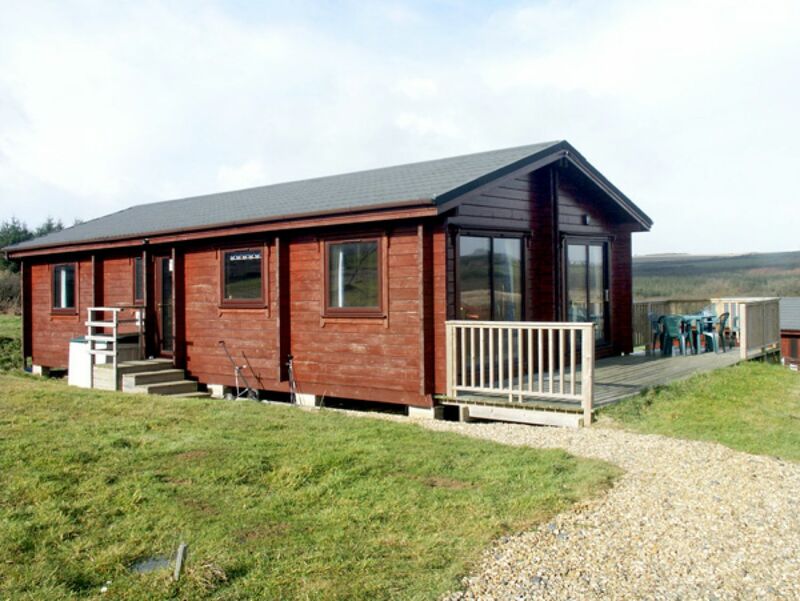 Ruby Country Lodges is the perfect romantic escape for you and your loved one! Indio Lake in Bovey Tracey, Devon. Indio Lake is perfect for locking yourself away from the outside world at any time of year, escaping to a tranquil hideaway surrounded by all the peace and beauty nature has to offer. Lovely walks exploring one of the country's most stunning, rugged landscapes, peppered with quaint pubs and traditional teashops, provide wonderful opportunities for those wishing for a little adventure. 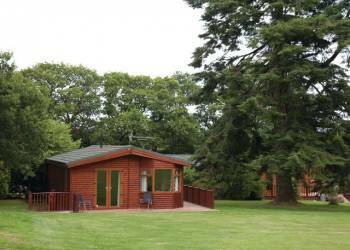 Finlake Lodges in Newton Abbot, Devon. 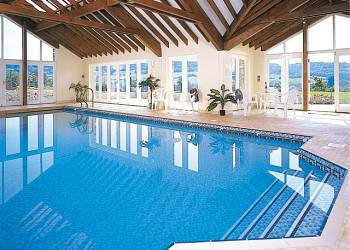 Set in 130 acres of beautiful Devonshire countryside on the edge of Dartmoor, just half an hour from the sea, and boasting outstanding leisure facilities, Finlake is the perfect holiday getaway. Langstone Manor in Tavistock, Devon. Set amongst delightful, mature grounds in a sheltered wooded valley, on the favoured southwest edge of Dartmoor, Langstone Manor offers the perfect escape for those seeking to explore and enjoy the wide range of interests and activities the adjacent moorland has to offer. 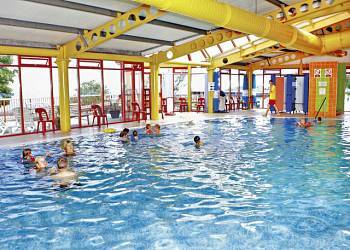 Torquay Holiday Park in Torquay, Devon. Commanding a superb location, only a short drive from Torquay's stylish waterfront and many award winning beaches, this scenic hillside park offers all you need for a family holiday in the heart of the English Riviera. 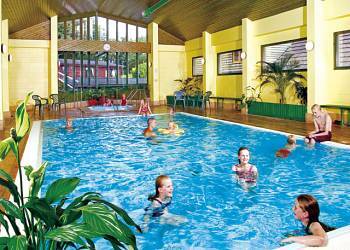 Watermouth Lodges in Ilfracombe, Devon. 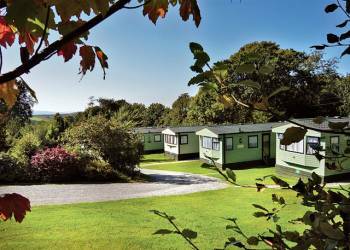 Nestling in a beautiful 12 acre woodland setting boasting magnificent views overlooking Watermouth Harbour and Castle, a warm welcome awaits visitors to this friendly family run park. Hartland Lodge 59 in Bideford, Devon. Woolsery is an attractive village, set within the unspoiled rolling North Devon countryside. The village is bordered by wonderful coastlines and country walks, and its history can be traced back to before the Domesday Book. The heart of the village was built around its Norman Church and there are many small festivals and fairs throughout the year, including the ‘Woolsery Show’, which has been established since the 1800’s. Woolsery is also famous for its cheese. A trip to the local dairy will show you cheeses handmade using traditional methods using fresh goat’s and cow’s milk to produce a range of cheeses, from soft through to hard. Woolsery village is within easy reach of the sandy beaches of Westward Ho and the fishing village of Instow and Appledore. Nearby, you can also visit Clovelly with its steep cobbled streets and Hartland & Stoke with their Abbey and church, whilst surf-enthusiasts will appreciate the well-known surfing centre of Bude. 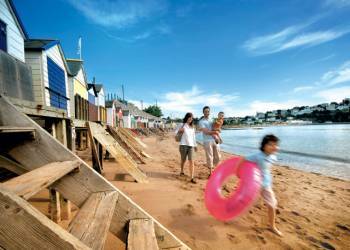 Welcome Family in Dawlish Warren, Devon. 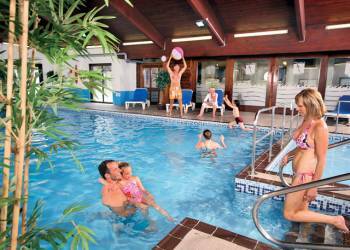 A great choice for a holiday in Devon Welcome Family offers you a wide range of accommodation and all the amenities of a large holiday centre  with the friendliness of a small park. Riviera Bay in Brixham, Devon. Stunningly located overlooking the picturesque bay and beach of St Mary's Bay, Riviera Bay has magnificent views out to sea and is the ideal base to discover the pretty villages, beautiful beaches, coves, and spectacular coastal path walks.